They are markers that many of us recognize: a dark sky when we wake up, and the need to turn on lights for evening dinners on the patio; pumpkins and decorative gourds appearing on the porches in the neighborhood; the crunch of local apples being louder, more distinct; air conditioning units being pulled out of windows; giggles of children on school buses; afternoons spent hunting for where we stored our cardigans and the heavier duvet. They are markers that remind us of the passing of time, of the transience of everything around us. This week, we closed the backyard pool; next week, the chimney sweep will get our fireplace in order for the colder nights ahead. These are the most concrete markers of the coming of the fall, for me: a closing of the place where I sought refuge from the heat, and an opening of a place where I will find comfort from the cold. The autumn has arrived, and with it a reminder that all things change—and that it is that change that makes life unpredictably delightful. something suddenly everywhere at the same time. We go to work and unload the dishwasher and love our families and get our hair cut. Everything looks pretty normal on the outside. But on the inside we’re barely holding it together. We want to reach out, but judgment (the currency of the midlife realm) holds us back. It’s a terrible case of cognitive dissonance — the psychologically painful process of trying to hold two competing truths in a mind that was engineered to constantly reduce conflict and minimize dissension (e.g., I’m falling apart and need to slow down and ask for help. Only needy, flaky, unstable people fall apart and ask for help). I am reminded of my age, my approach to middle-age, quite startlingly every single day. I’m sure I’ll have more to say about this, more to reflect upon, in the next few weeks—and in the next few years. I still believe Anita Hill. I believe Christine Blasey Ford. I believe Deborah Ramirez. I believe Julie Swetnick. Obesity is something that is always on my mind, not just because I am classified as obese (and was diagnosed as morbidly obese some years ago), but because thoughts about body image and the place my body holds in this world are still the thoughts that preoccupy me most. This incredible piece of journalism, Everything You Know About Obesity Is Wrong, is something everyone should read, no matter what their size. What if we were to build a city for pedestrians and cyclists, and not cars? By banning automobiles in the city centre, the town of Pontevedra, Spain has done just that, and the results sound magical. It was only after I married a doctor that I realized just how much stress—physical, emotional, mental, financial—is involved not just in their training, but in their everyday work. The high rate of suicide among doctors is gutting and sad, but now that I know the reality they face, somewhat unsurprising. We can do better in supporting those who care for our health. My sense that I was becoming more and more introverted as I’ve gotten older wasn’t just in my head: we all get a little more introverted as we age. Looking at this ranking of the top ten paintings of Judith beheading Holofernes brought me to learning more about the story of Judith, and more importantly, the biography of Artemisia Gentileschi, who was one talented, badass woman. 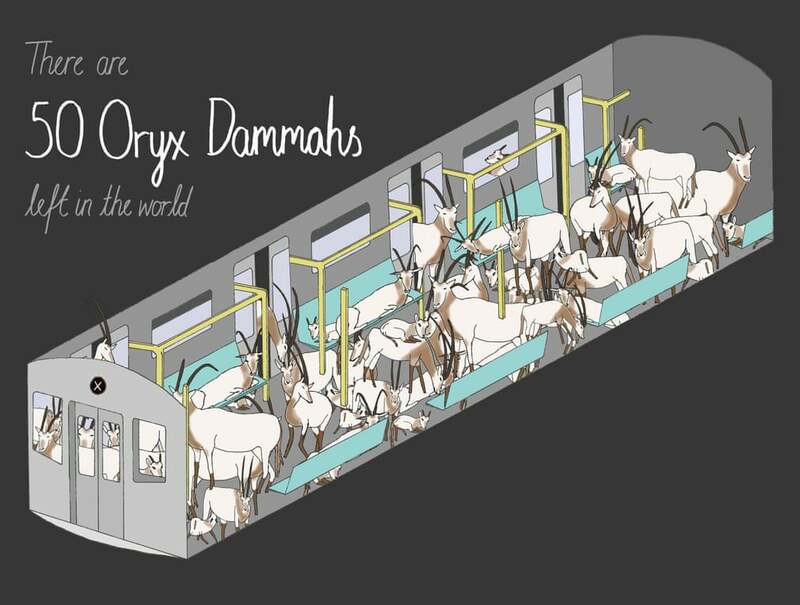 Some species are so close to extinction, that every remaining member can fit on a New York subway carriage. This Twitter thread, a personal reflection on the human impact of the AIDS crisis in the ’80s, is beautiful, haunting, gutting, and important.